What Achievements Should I Put on My Resume? Q. What have you personally gained from being a part of this off-campus activity? A. Unlike school, where I meet a lot of selfish people, everyone is altruistic here. These people gave me helpful advice on how to become a better person everyday. Since I had the opportunity to work with several social enterprises, I had the chance to listen to many CEOs’ start-up stories along with their experiences and struggles. These stories have motivated me to reach for my dreams of wanting to be a CEO of a social enterprise company. Q. What sort of benefits does this activity hold in getting a job in the future? A. I feel like this program, and off-campus activities in general help participants to be more meticulous and have a sense of responsibility. For example, as a leader, I am in charge of managing 60 to 70 members in the supporter group. In order to manage these supporters effectively, we must be ready as well. As we also communicate often with the management of the SK Happiness Foundation, we also learn and gain a lot of moral lessons from them. Jung Seung-hyun (Department of English Language & Literature 15) took part as an intern under the TWC Washington DC internship program and is now an intern at the World Health Organization (WHO)’s Western Pacific Regional Office in Manila, Philippines. 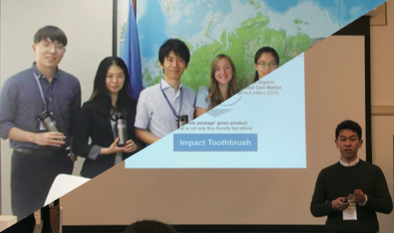 Park Jun-seok (Division of Business Administration 13) was an intern at ‘Doctor Noah’, a domestic company that develops dental products that are environmentally friendly. Q. Jung Seung-hyun: What sort of benefits does being an intern hold for you in the future? A. I wish to work at an international organization someday. As international organizations take educational backgrounds and experiences into great consideration, I feel like the two internships have given me the experience and personal connections necessary for my future. Even though this is just my personal experience, I am pretty sure that internships help to accumulate experiences and personal connections to become a greater worker. Q. Park Jun-seok: What sort of benefits does being an intern hold in what you want to do in the future? A. I define internships as the opportunity to learn or get trained on something before officially getting a job with a similar title. With a position like this, I actually felt a lot of pressure. But as a student getting to experience office life, you get to learn a lot more about yourself by getting to realize how you feel a sense of accomplishment, and what kind of a work environment and position is most suitable for you. For reasons like this, even if you are not completely sure of what you want to be in the future, it is a good opportunity to get to learn more about yourself and work environments. 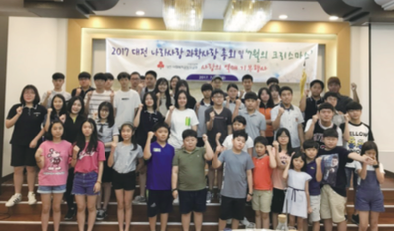 Kang Ho-jung (Department of Electronic Engineering 16) created a volunteer work program when he was just a middle schooler, known as ‘Love for the Nation, Love for Science ̓. This volunteer group honors those who made sacrifices for South Korea by going to the national cemetery once a month to pay their respects and clean their tombstones. Q. What would you like to tell HYU students who are interested in joining volunteer programs? A. You should join volunteer programs that work for causes that serve the right purpose according to your standards. Or, if you’re like me and you’re lost about which program is right for you, it’s not a bad idea to create one with friends who have similar interests. It allows that program to have more significance to you and you’d learn so much more than you could imagine. Q. Do these volunteer activities help make your resume look better in the future? A. Through volunteer activities, you get to meet a variety of people from different schools. Once you get to interact with these people, you learn how to work with them and work through conflicts that might arise. As I am a leader of this volunteer group, I was able to learn leadership skills which I know will come in handy later. Moreover, I do believe that volunteer work will become proof that you have a kind heart and are willing to work for a good cause. 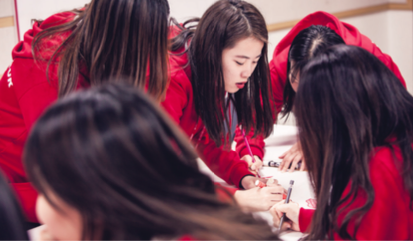 Q. What’s the difference between language exchange programs and exchange student programs? A. I think the biggest difference between the two is whether you go to a private language institution, or a university. At a private language institution, they divide the students into different classes according to your language skills. As each class is dedicated to improving your language skills, you can learn the particular language more easily. The classes in Malta’s language exchange program focuses on different topics, such as grammar, speaking skills, and reading. Q. How is learning a language through language exchange programs different compared to learning a language through private institutions here, and how do you think this program will be beneficial for the future? A. I feel like language exchange programs established an environment where you feel less embarrassed to make mistakes and to learn from them. Because of this, the program has definitely helped me to have more confidence in expressing myself in English. At the end of the day, I know this is going to help as one’s proficiency in a second language will be of great advantage when they are looking for a job. Many students struggle when deciding what sort of achievements would be the best to put on their resume. 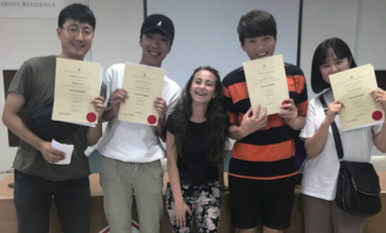 While investigating this concern in greater detail, we had the opportunity to interview four students from Hanyang University (HYU) and ask them about the achievements they will put on their resume. We hope this article will give helpful advice to those who are wondering what achievements they must obtain for the future.